Back To School Night (which I will refer to as BTSN because who wants to type/read all that!?) should be epic. It should be epic for you. It should be epic for families. It should be enjoyable. It's a celebration of all the potential for the year, and it is a way to inform parents of all of the awesomeness in your classroom. But, we're usually stressed about it, or we don't know what to do, or we're tired. 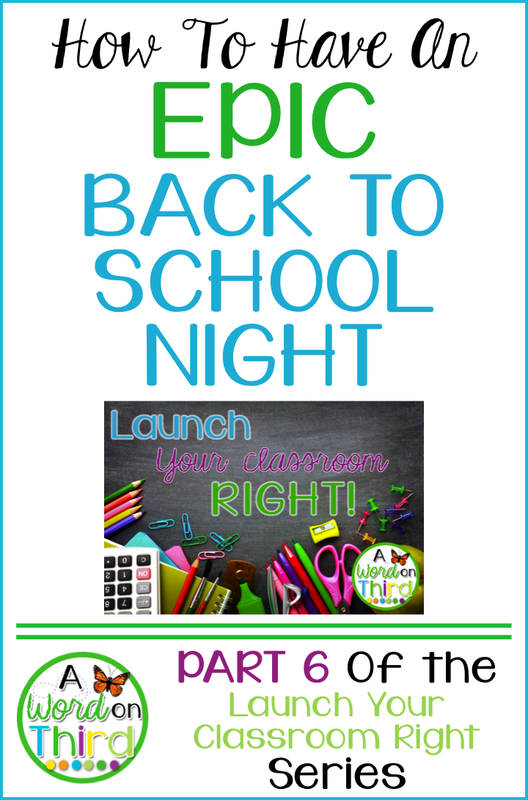 I have a few tips that I hope will help you make yours epic, since it's such an important part of launching your classroom right! 1. Run your BTSN like a Morning Meeting. I run the beginning of my Back To School Night as I would a typical Morning Meeting in my classroom, which is an idea I got from the book Parents & Teachers Working Together by Alice Yang and Carol Davis. After we finish the meeting portion, I'll move right into the rest of my presentation. Having a greeting, share, activity, and morning (or in this case, evening) message before the presentation makes the night fun and breaks the ice. 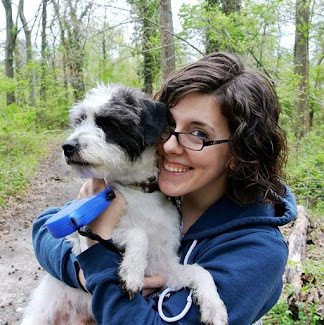 I'm starting this way because I find it to be so important to help parents and families form relationships with each other, and of course, with me! I promise that if you take the plunge and try this, it will really strengthen your classroom community! It may seem daunting at first, but I guarantee it will set a contagiously enthusiastic and awesome tone for the rest of the year. The response I got from parents when I made this change was overwhelming, and I found that my relationships and comfort levels with families became really incredible. All of a sudden, these families started seeing me as a real person, and we were able to connect about our common interest (their children) much more easily. They also saw how much I cared for their children as individuals when I did this because they experienced first-hand how I tried to make them comfortable during BTSN. I shared a lot of information about this in the past here and here. I think the first link I shared is the better link to visit. This will give you the run down of what to do to run BTSN like a Morning Meeting, and it will give you some great ideas for which greetings to use, what to share, etc. It gives ideas for things that are fun, fast, and low-risk so everyone feels comfortable. However, your school district might have a different format for BTSN. In mine, we have an hour with all parents at the same time. 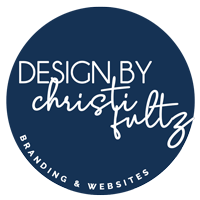 If yours is different (maybe it involves kids, maybe you have more than one BTSN), reach out to me, and let's brainstorm ways to make this successful and do-able for you! 2. Use visuals during your BTSN. I hope you have a projector in your class, but if you don't, there's still stuff to read here, so hear me out. First of all, whether you have a smart board or use a wireless mouse, I suggest you use a PowerPoint presentation. We've got all types of learners in our classrooms, right? So the same goes for parents. Don't be a doofus and read word-for-word off of your presentation though. Just put the key things on there and speak from the heart! Second, think about the things you want your parents to be familiar with. Make sure to have concrete examples of these. For example, if you send home Scholastic catalogs during the year, show parents what a catalog looks like and share a few words about why you send them home. If you want parents to look for newsletters or weekly exit tickets in a child's agenda, show them what to look for. This is going to be really helpful for parents because there will be no question of what to look for. If you have a class website, I suggest having it up and running in a minimized tab. Show them where to look for important information. 3. Post a wish list. 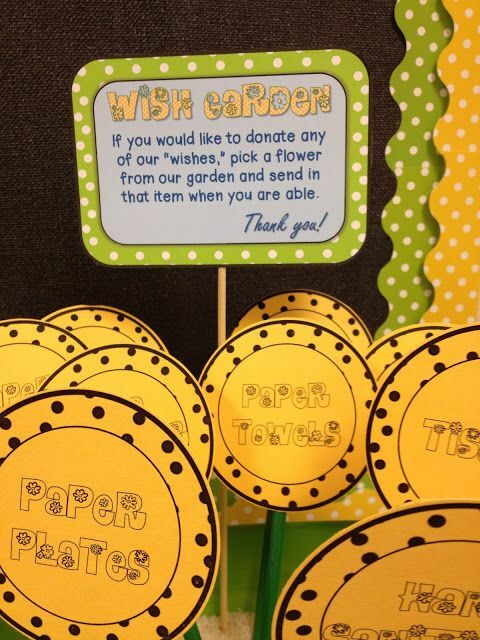 Each BTSN, I set up a laminated poster board that has some play on words about wishing on a star, and then I stick post-it notes to it with whatever items are on my wish list for the year. Family members can grab a post-it (YAY FOR TANGIBLE REMINDERS!) and send the wish list item in to school with their child. If you work in a low-income district, get creative. Do you need empty cereal boxes for a project? Toilet paper rolls? I think it's important to ask for things that are in-line with what families can contribute. This isn't really the time to ask for that $80 yoga ball you've been eyeing for your flexible seating ideas. As I mentioned in my post about improving relationships with families, BTSN is a great time to ask for class helpers. Parents who are willing to chaperone, be a class parent, make extra copies, etc. should sign up! Some teachers have a conference sign-up sheet out as well for goal-setting conferences. If you can list all of the open slots for this, it'll save you some time from making a master schedule; you'll only have to make a few tweaks at the end! Don't forget to send confirmations later. 5. Greet families at the door. Just as it's best practice to greet your kids with a smile, do the same with families. A warm smile does wonders to easing an anxious parent's mind or opening a cynical parent's mind. 6. Give families a way to communicate with you. It's great practice to add a slide with your email address and any other relevant information to your BTSN presentation. If you use the app RemindMe or have a class Twitter account, add it. Even if it's in your presentation, it's nice to give parents a small slip with this written down somewhere. 7. Share your goals with families. What are your goals for your students? What social-emotional and academic things do you want to accomplish? Talk about it, and share your philosophy about how you plan to get there. 8. Tell parents what curriculum you'll cover. I have a great freebie in my store that I use for this each year. On BTSN, I distribute it to parents. 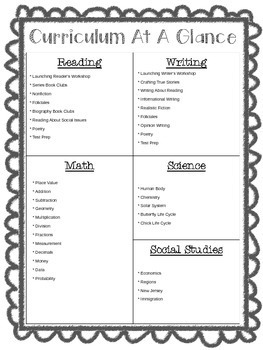 It's a template you can use to share literacy, math, science, and social studies curriculum at-a-glance. You don't need to get into the nitty-gritty. Just tell what you're teaching. 9. Make sure student work is displayed. Parents want to see that their kids are busy learning already. Do you have some STEM community building activity you can leave out? Did you use interactive modeling to introduce the art supplies and now have artwork that you can hang? Perfect! Even if it's small, put it out. 10. 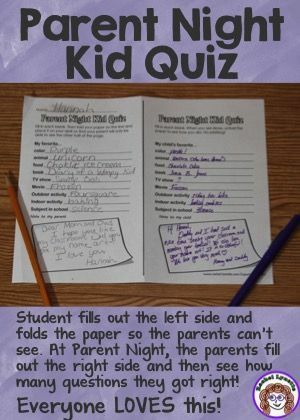 Give parents an activity to do. I like to have my parents do a scavenger hunt around the room. They look for a few interesting things that make our room special. I don't have them search for too much, because we're limited on time. 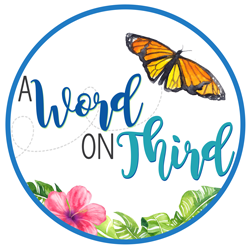 They look for the monarch butterflies that we raise together in the beginning of the year, their child's desk, our class library, and a few other things. I also think it's great to have parents publish hopes and dreams for their child. I like to have parents think about this while people are filing in. Now that I'm going to be using flexible seating, this might be a better activity for me! 11. Have each student write a short letter to his/her family. Only a paragraph is necessary, but it makes parents feel good. Bonus points if you get them to write back to their children. I only suggest you do this if you are willing to check all of the letters and write to every kid who does not have a letter. Sometimes parents forget this even if they attend! 12. Set boundaries and practice self-care in advance. Some parents think that this is a good time to try to get a parent-conference out of you. Have a response ready. Something like, "Oh, Sally is doing great in class! If you would like to talk more about her, let's set up a time to talk. Please email me some times that work for you." This is really not the time. As for self-care, make sure your dinner is ready for you. Slow cookers are my favorite thing in the world, or you might choose to have leftovers ready to pop in the microwave when you get home. Maybe you will decide on take-out ahead of time. Whatever it is, you'll be happy it's planned. Bring extra water to school with you if you can't go home in-between dismissal and the start of BTSN. Enlist your family members to help out that night. Whatever it is that you do each night after school, figure out what you can do to make it faster and easier for you. I will pick out my clothes for school the night before, so maybe the night before BTSN, I'll pick out two outfits so I can just collapse as soon as I get home. What do you do to make sure BTSN is a success? What's a hit with parents? What still makes you nervous?